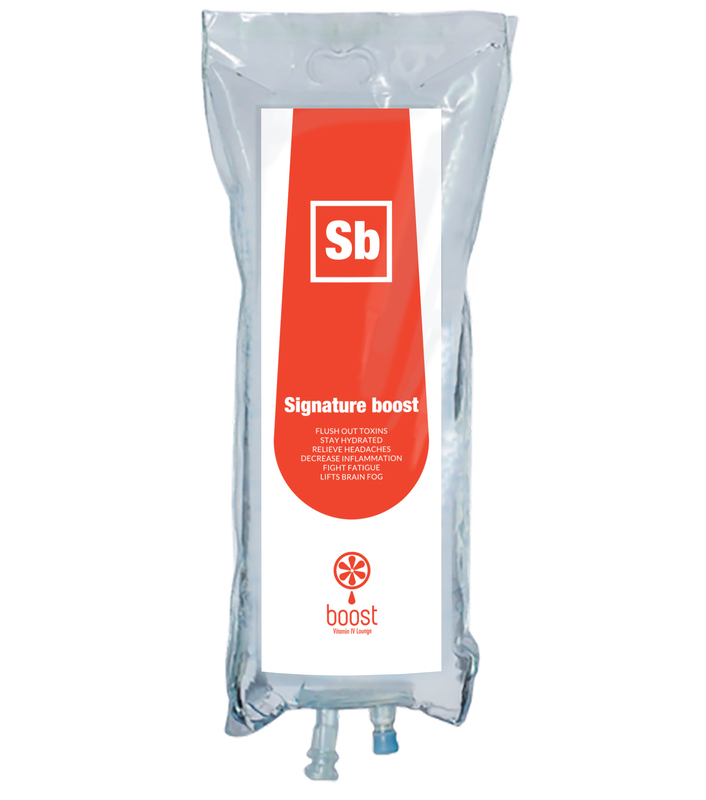 How Does our Signature Boost Vitamin IV Therapy Work? B complex is a combination of B vitamins that are the fundamental building blocks for staying in good health. These vitamins are normally used to supplement vitamin deficiency resulting from poor diets, illness, and alcoholism. Vitamin B5 converts nutrients from food into energy, reduces bad cholesterol, lowers high blood pressure, and prevents nerve damage and pain. It is also used to treat skin conditions, chronic fatigue, low immunity, insomnia, and depression. Vitamin B12 is a water-soluble vitamin that plays a key role in the normal functioning of the brain and nervous system. As one of the eight B vitamins, it is involved in the metabolism of every cell of the human body. It is a popular vitamin used to combat allergies, asthma, canker sores, sciatica, fatigue, and insomnia. Vitamin B6 helps control levels of homocysteine in the blood, an amino acid that may be associated with heart disease. B6 is commonly used for treating seizures dementia, depression, carpal tunnel, acne, dermatitis, and nausea. Calcium is a mineral that helps our body maintain strong bones and helps our muscles move and our nerves to carry messages from the brain to the rest of our body. Calcium is found in treatments for cramping, twitching, rashes, and hypersensitivity. Magnesium is a mineral that is needed for more than 300 biochemical reactions in the body, helping to maintain muscle and nerve function, heart rhythm, and a healthy immune system. Magnesium is regularly used for hypertension, muscle cramps, migraines, and chronic fatigue. Vitamin C is not made by the body but helps the tissues in our body to grow and repair. It is also an antioxidant that blocks the damage caused by free radicals. Most common uses of Vitamin C are for antiviral, antibacterial, wound healing, and immune support. Glutathione is an antioxidant that helps prevent damage to our cells caused by free radicals. It is most commonly found in detox, antioxidants, and antiviral treatments. Selenium is a mineral that is essential to good health, as they help to prevent cellular damage from free radicals. It can be used in treatments for cervical dysplasia, cataracts, immune support and macular degeneration. Taurine is an organic acid found in the large intestine of our body. It helps to regulate the nervous system and muscles while ensuring a healthy brain and heart. Zinc helps the body fight off invading bacteria and viruses. As our bodies do not have a specialized storage system for zinc, regular intake is needed. It best known for helping with immune support and wound healing. Carnitine is critical to energy production: it transports fatty acids so that they can be oxidized to produce energy while transporting the toxic compounds out to prevent accumulation. It is useful for a general health boost, more energy and easier weight loss. Glutamine plays a large role in our body’s brain function and digestion. It is commonly used to enhance performance and treat anxiety, depression and insomnia.